USNS Observation Island operates worldwide, monitoring compliance with strategic arms treaties and supporting U.S. military weapons test programs. Observation Island carries an Air Force shipborne phased-array radar system for collecting data on missile tests. The ship is operated by Military Sealift Command for the U.S. Air Force Technical Applications Center at Patrick Air Force Base, Fla. 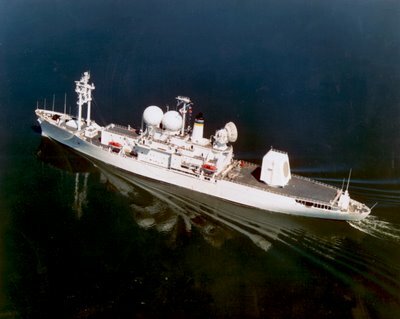 The Cobra Judy radar is a ship-based radar program based on the US Naval Ship Observation Island [T-AGM-23]. The AN/SPQ-11 shipborne phased array radar is designed to detect and track ICBM's launched by Russia in their west-to-east missile range. The Cobra Judy operates in the 2900-3100 MHz band. The octagonal S-band array, composed of 12 288 antenna elements, forms a large octagonal structure approximately 7 m in diameter. and is integrated into a mechanically rotated steel turret. The entire system weighs about 250 tonnes, stands over forty feet high. In 1985, Raytheon installed an 9-GHz X-band radar, using a parabolic dish antenna to complement the S-band phased array system. The five story X-band dish antenna is installed aft of the ship's funnel and forward of the phased array. 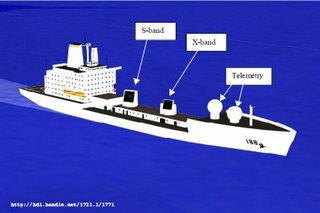 The X-band upgrade [which may be associated with the COBRA SHOE program name] was intended to improve the system's ability to collect intelligence data on the terminal phase of ballistic missile tests, since operation in X-band offers a better degree of resolution and target separation. The S-Band and X-Band radars are used to verify treaty compliance and provide support to missile development tests by the Ballistic Missile Defense Organization. The radars are also being used for research and development work in areas not accessible to ground-based sensors. It seems that Observation Island may be owned and operated for the Navy by Maersk as set out here. The Cobra Judy Replacement program will replace the current U.S. Naval Ship (USNS) Observation Island which has become unsustainable and due to leave service no later that 2012. This program will fund the development of a single ship-based radar suite for world wide technical data collection against ballistic missiles in flight. 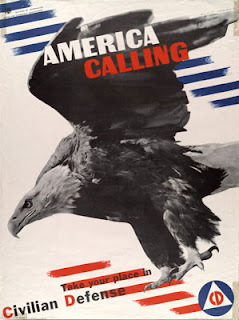 Prior funding provided instrumentation of quality radar data and imaging, detailing threat assessment of ballistic missile development, testing and range augmentation and monitored or verified specific aspects of United States treaties with other countries. To avoid vulnerabilities in our national security it is imperative that the Navy replace the current capability of Cobra Judy in a timely manner to prevent any potential gap in coverage. Prior studies have indicated that a ship-based radar replacement is the most timely and cost effective solution. 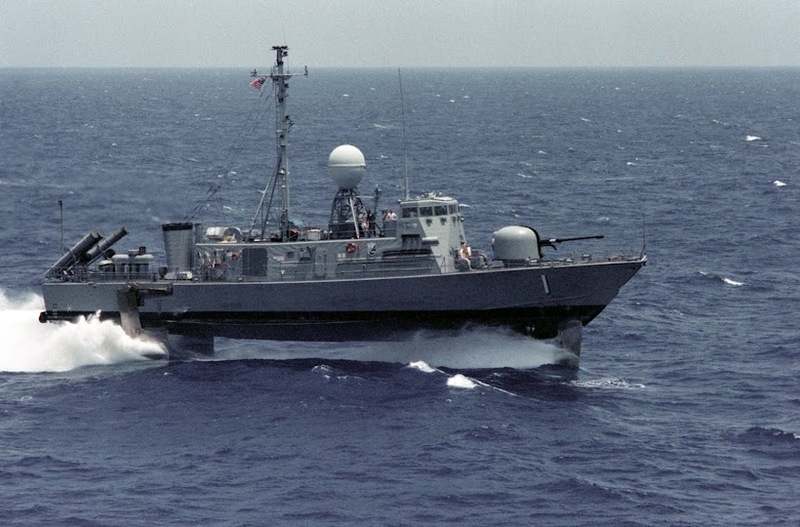 The acquisition strategy calls for leveraging ongoing Navy Ballistic Missile Defense (BMD) radar development, updating existing user interface/communications/data handling equipment designs from a similar operational unit, and purchasing and integrating the mission equipment aboard an appropriate merchant-class hull. System design will be accomplished using in-hand technologies and commercial standards to lower schedule risk and produce a product with the lowest possible life-cycle cost. A 2002 MIT reported investigated the feasibility of converting an existing ship to a Mobile Test Range Asset in order to field a platform carrying the Cobra Judy II (CJ2) system on a much newer ship. Based on a review of available hull forms and prior research, the Henry J. Kaiser class oiler (T-AO 187) was found to be the most suitable conversion candidate. A contract has been let to Halter Marine to build the new ship. 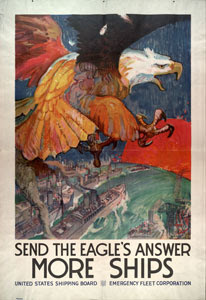 A possible look for the new T-AGM is seen in the nearby drawing. Whenever she is replaced, Observation Island has been a valuable asset to the United States for over 50 years and her crews deserve recognition for a job well done.